CWH trips usually last 10-14 days, depending on the destination, and don’t comprise more than 10 people. Prior trekking experience is essential for the exploratory trips, while a good pair of trekking shoes and the spirit to walk top the list for the others. CWH trips work with local service providers and are committed to maintaining the mountains’ fragile environmental balance. Coming up next is a New Year trip to Khirsu from 29 December through 3 January. 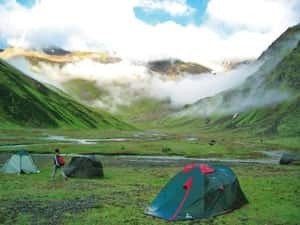 Exploratory trips cost Rs20,000-35,000, while shorter getaways start from Rs8,000, covering transportation, food and lodging, adventure activities, trekking equipment, guides and porters. Log on to www.connectwithhimalaya.com or call Gaurav Punj on 09833829240 for details.